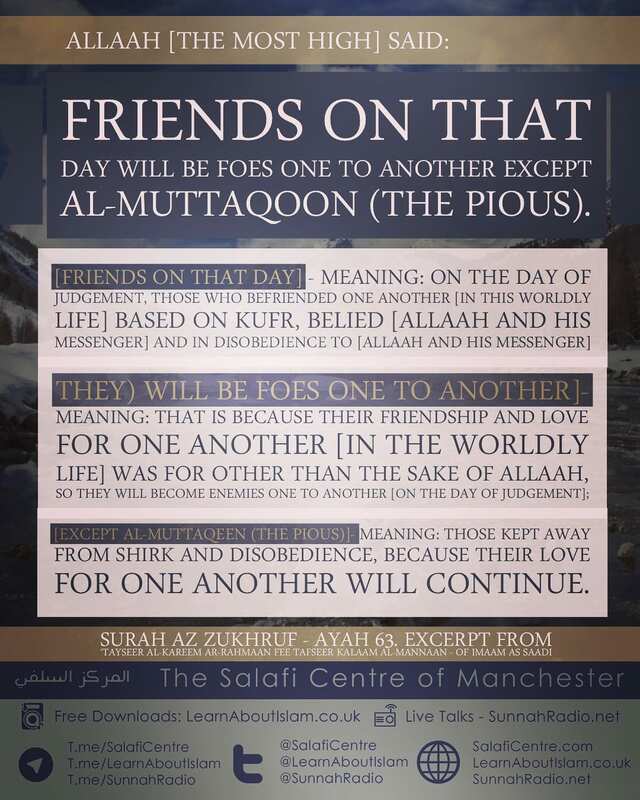 [ٱلۡأَخِلَّآءُ يَوۡمَٮِٕذِۭ – Friends on that day] – Meaning: On the day of judgement, those who befriended one another [in this worldly life] based on kufr, belied [Allaah and His Messenger] and in disobedience to [Allaah and His Messenger], [بَعۡضُهُمۡ لِبَعۡضٍ عَدُوٌّ – (They) will be foes one to another]- Meaning: That is because their friendship and love for one another [in the worldly life] was for other than the sake of Allaah, so they will become enemies one to another [on the day of judgement]; [إِلَّا ٱلۡمُتَّقِينَ – Except Al-Muttaqeen (the pious)]- Meaning: Those kept away from shirk and disobedience, because their love for one another will continue. 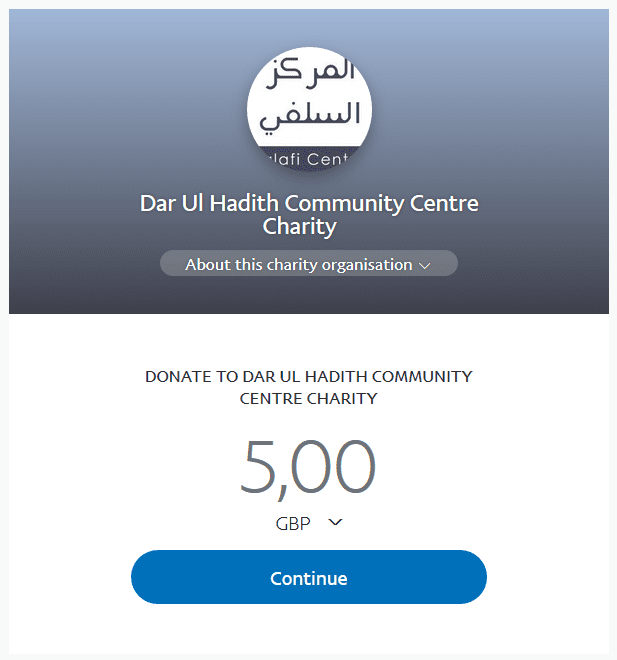 Thereafter, Allaah mentioned the reward [that will be bestowed on those who feared Him [in the worldly life], and that [Allaah] will address them with that which will gladden their hearts and dispel every evil from them, saying: [يَـٰعِبَادِ لَا خَوۡفٌ عَلَيۡكُمُ ٱلۡيَوۡمَ وَلَآ أَنتُمۡ تَحۡزَنُونَ- My worshippers! No fear shall be on you this Day, nor shall you grieve]- Meaning: Neither encounter any fear from those affairs one will come across nor grieve about that which has already taken place, because after that which is hated has been removed [i.e. fear of judgement] from every direction, then that which is beloved and sought after is reached. Enter Paradise, you and your wives, in happiness. Trays of gold and cups will be passed round them, [there will be] therein all that the one’s inner-selves could desire, all that the eyes could delight in, and you will abide therein forever. This is the Paradise which you have been made to inherit because of your deeds which you used to do [in the life of the world]. Therein for you will be fruits in plenty, of which you will eat [as you desire].